To receive information about attending our future events please get in touch. What another fantastic turnout for the second annual Get Doncaster Moving Summit, seeing over 100 attendees come together to help develop a culture of physical activity for the Borough. The theme set by Dr Rupert Suckling, Director of Public Health and Chris Perks Executive Director of Sport England was "Doing It Differently" and "People and Places" emphasising the need to work collaboratively with communities to address our stubborn inactivity levels across the Borough. 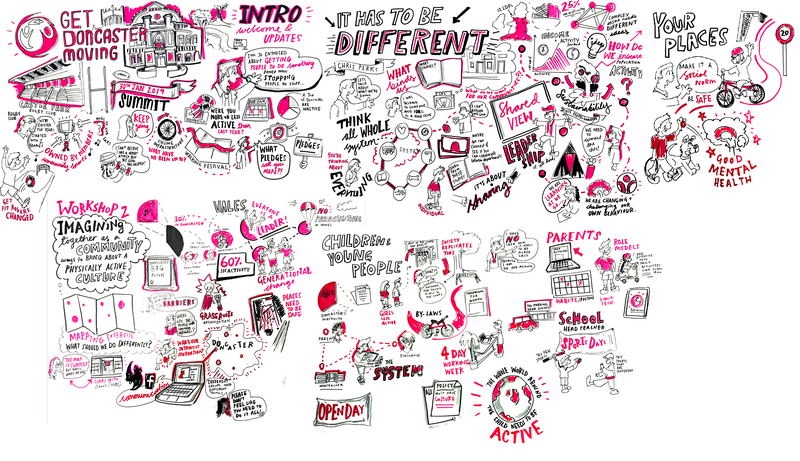 Tea & Wee – how can we ensure that all of our residents are engaged in major events? Children and Young People– 40% of Donny kids are inactive – What do we do? Below, you will find lots of information from the evening. If you would like to get more involved, please use the contact form to get in touch. 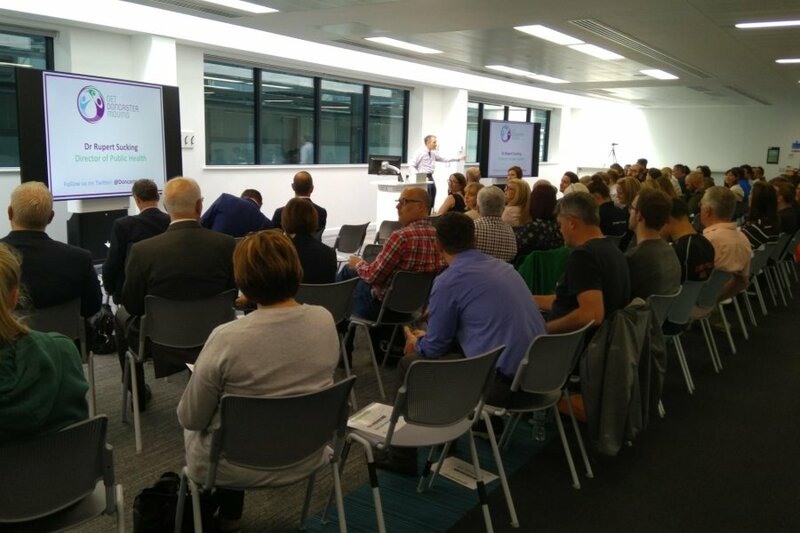 On Thursday 17 May 2018 the first Get Doncaster Moving Summit event welcomed over 75 attendees. Set up to engage with local businesses, sports clubs and voluntary sector organisations with an interest in sport and active lifestyles, attendees were introduced to the five strands of the programme and informed about how they could get involved in the network, as part of the wider Doncaster Growing Together strategy. The Summit featured updates from Yorkshire Sport Foundation, Welcome to Yorkshire and motivational guest speaker, Simon Wheatcroft; a Doncaster resident and ultra-marathon runner who refuses to let blindness hold him back. Rupert Suckling, Director of Public Health at Doncaster Council, said: "Get Doncaster Moving aims to help Doncaster's communities become healthier and more vibrant, by increasing participation in physical activity and sport. Through the programme we want to show that physical activity and sport should be fun and enjoyable, bringing people together, with individuals achieving their own aspirations." If you would like to get involved in the Get Doncaster Moving network, please get in touch. 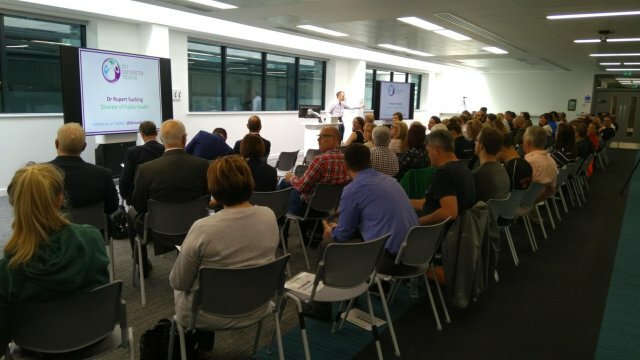 2019 Get Doncaster Moving Annual Summit, another success!